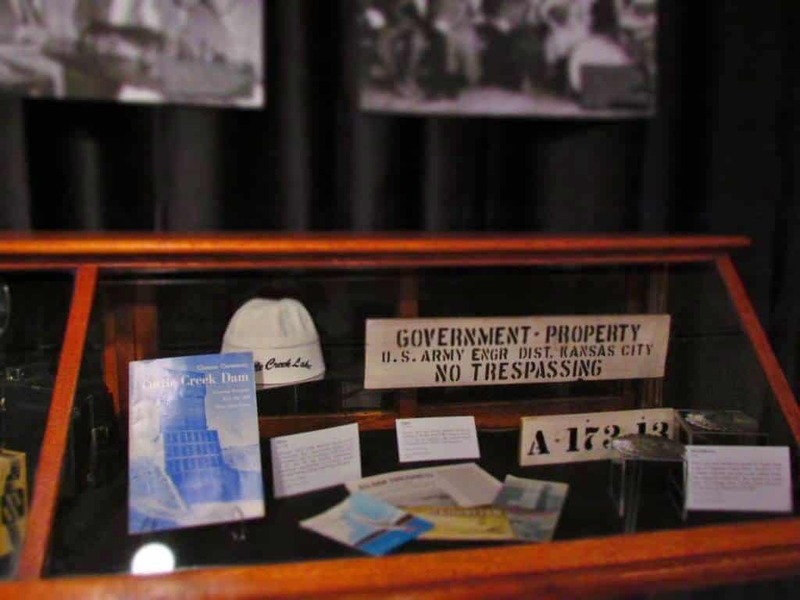 Our visit to Manhattan, Kansas took a historical side-trip with a stop at the Riley County Historical Museum. 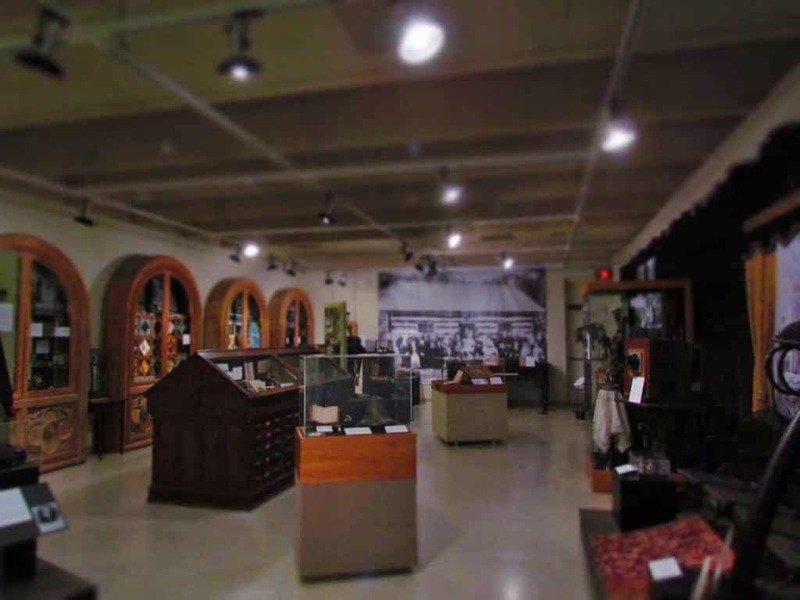 This regional history center is a great place to gather a better understanding of the people and events that molded the city of Manhattan, as well as other towns in the area. An added bonus is that this museum offers free admission, and the staff are happy to discuss the exhibits in detail. Upon entering the museum, we noticed a huge bell hanging from a prominent position in the foyer. 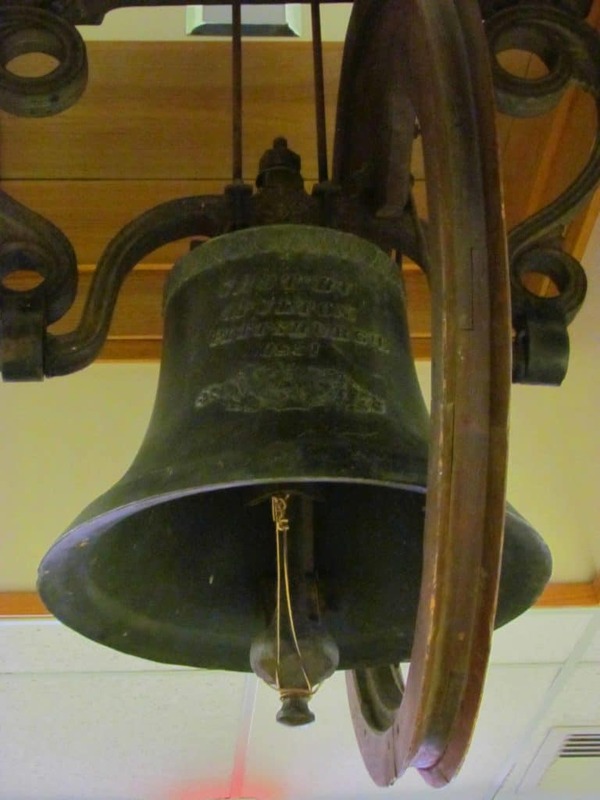 A staff member was kind enough to share the story behind the bell. The beginning of the city’s history involved two distinct groups, with the New England Emigrant Aid Co. starting a settlement by supplying the first batch of free-staters in March 1855. Three months later, the paddle boat Hartford ran aground near the settlement. The 75 occupants were from Ohio, and had planned to head a bit farther upstream, before making their own encampment. An agreement was made to join forces, but only after insisting that the new town be named Manhattan. This was done on June 29, 1855, and a new city was born. The bell was one of the few pieces salvaged from the boat when it burned. Various stories circulate on how the fire began, so ask staff to elaborate. The museum has two distinct galleries, as well as some additional displays spread around the building. One of the rooms holds a rotating exhibit, which currently focuses on the county’s first 100 years. 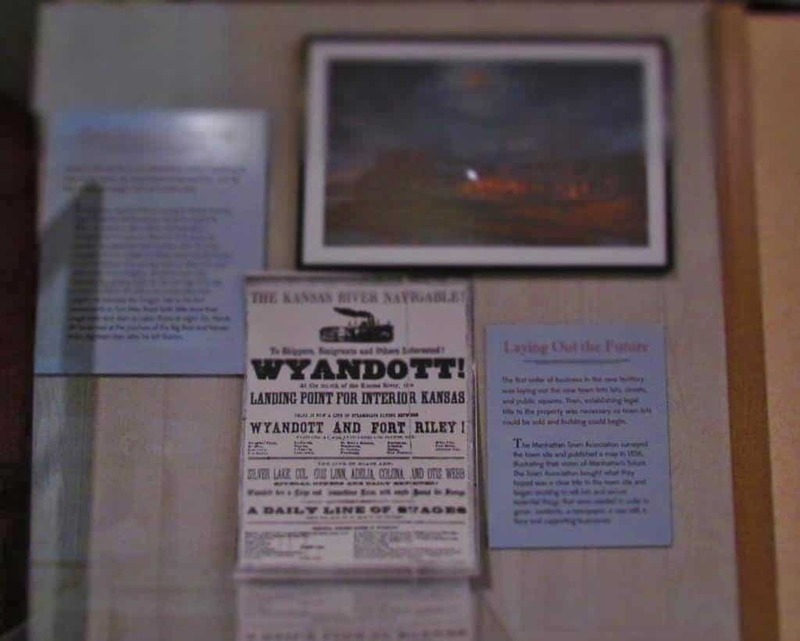 A variety of displays show life through the decades with highlights of notable events. 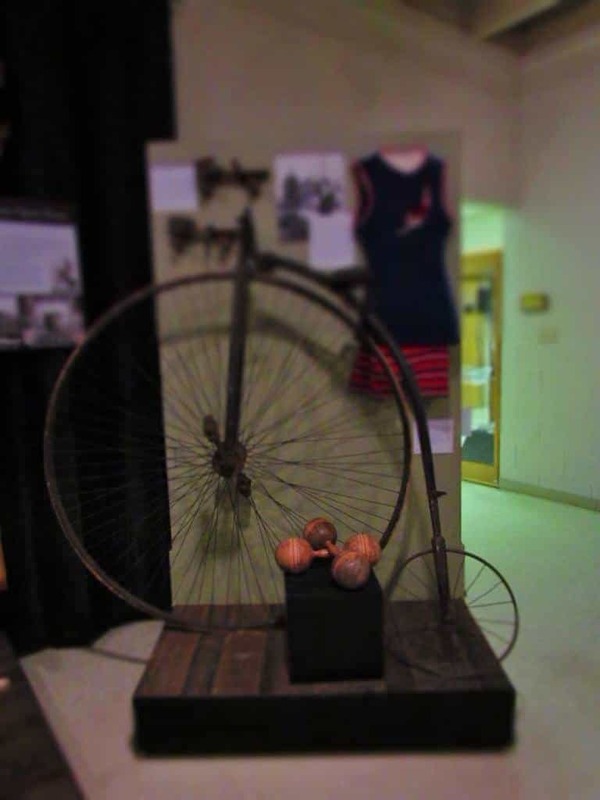 Included in these, is the penny farthing bicycle shown in the title photo for this article. Various articles from daily life help explain how the city grew from its cow town days when residents survived conflicts with Native Americans. Farming the Flint Hills took perseverance, but it was quickly determined that the grasslands were prime for ranching. The American cowboy was common to the area, as Riley County grew in its importance as a place to fatten cattle before being sent east to Kansas City or Chicago. In its early days, Riley County sat on the western edge of the organized counties of Kansas territory. Nearby Fort Riley offered protection from the tribes, as well as raiding pro-slavery Southerners. Sitting at the junction of the Kansas and Big Blue Rivers allowed the transportation of people and goods along the waterways. Advertisements often noted this mode of travel, and the discovery of gold in California created an influx of travelers who used Manhattan as a jumping off point. Merchants did brisk business selling supplies to prospective miners, and the city grew quickly. 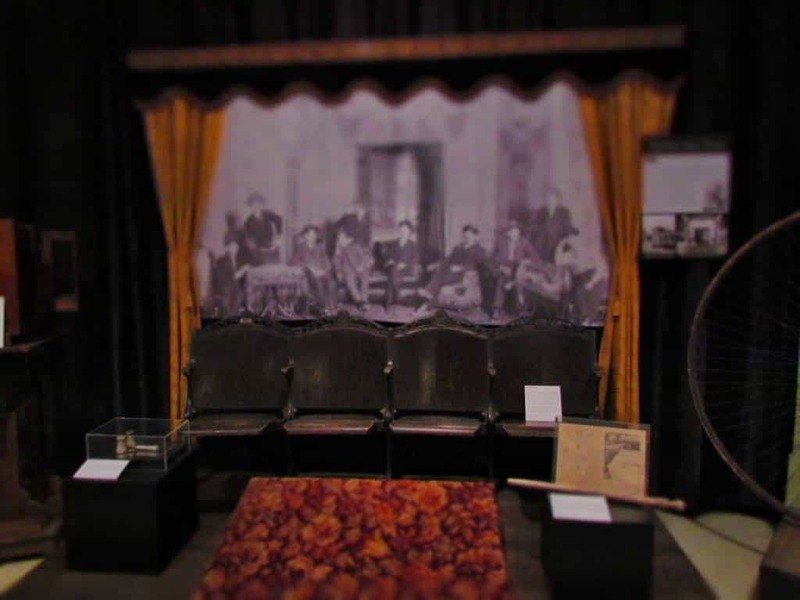 One of the displays included seats from the Wareham Opera House. Built in 1884, it was originally named the Coliseum. In 1893, it was purchased by local businessman Harry P. Wareham. The building was retrofitted with electricity and renamed for it’s new owner. During the early 1900’s it was one of two theaters in Manhattan, and served as one until 1986. A major renovation in 1988 changed the theater into its current state as an event center. Manhattan shares a similar history to Kansas City, in that they both have suffered from flooding issues. The floods of 1951 inundated Manhattan, and showcased the need for flood control. During the 1960’s, the Army Corps of Engineers constructed the Tuttle Creek Dam on the Big Blue River. This project was not unchallenged, and met heavy opposition from nearby landowners. As the lake filled in 1962, it submerged four nearby towns. During the 1993 flood, the dam proved its worth, as it prevented a repeat of the earlier flooding issues. A conference room located in the museum contains a variety of artifacts from World War 1. This was timely for us, as we had recently visited the national World War 1 Museum in Kansas City. 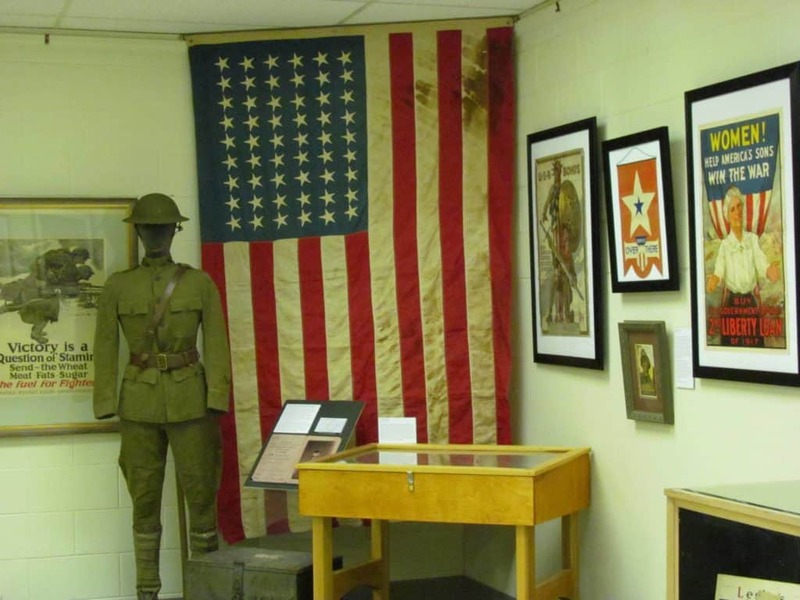 (You can read more about the KC WW1 Museum here>) The display at the Riley County Museum holds uniforms, posters, pictures, and other memorabilia from local families that served in the war. This type of personal interaction certainly brings the exhibit closer to real life, since we are able to relate it to actual people from the region. 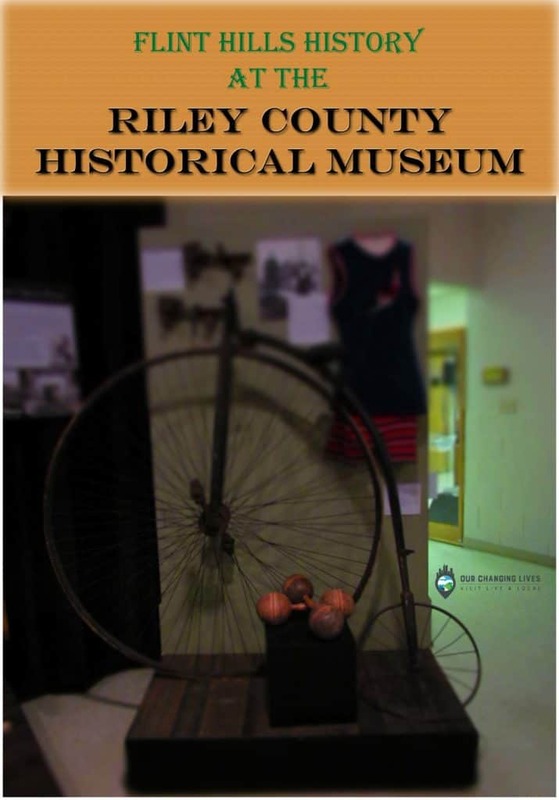 As with most local museums that we visit, this place gave us a better understanding of the life struggles and victories of the people who helped shape Riley County. 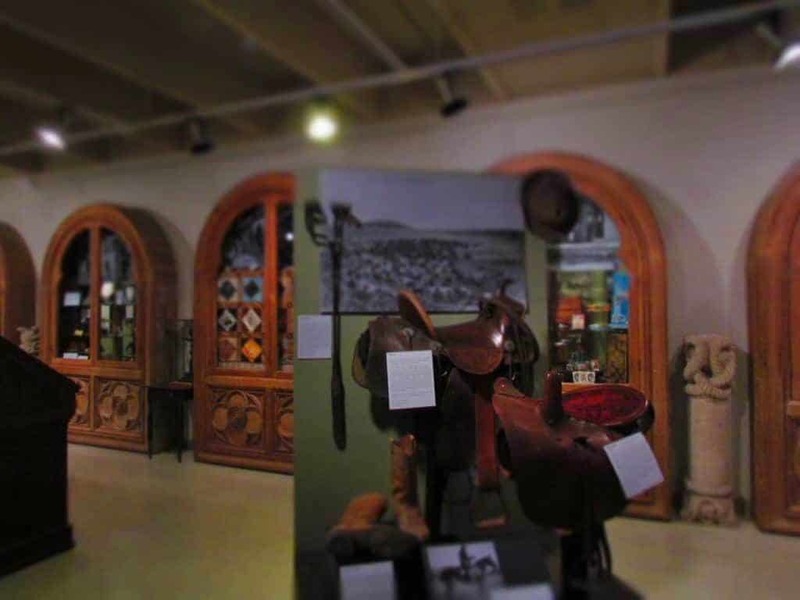 What are your favorite displays at local museums? I love reading about the history of a place. I grew up in Plattsmouth, Nebraska who has its own river history, including being part of the route Louis and Clark took. Thank you for sharing the history of Flint Hill! You are quite welcome. We are glad you enjoyed the article. We are history lovers, as well. Especially as it relates to the personal stories. So interesting to see a peek back in time! Thank you for sharing! By Jeff & Crystal, thank you for this post. Its very inspiring. We appreciate that you enjoyed it. By Jeff & Crystal, thanks!And thanks for sharing your great posts every week!